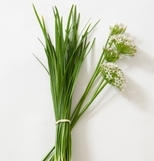 Garlic Chives Mature in 60 days. 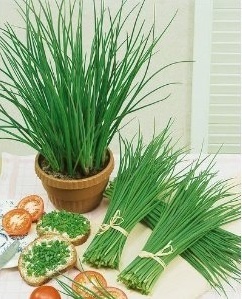 A grass-like herb of the onion family. Flat tube-like tops which are cut as needed have a mild flavor midway between garlic and onion. Used for flavoring salads, soups, stews and stir-fry. Use fresh or freeze for later use. Packet Contains 15 seeds.